The internet is a very popular form of information and communication in Bangladesh. Most middle to upper income families have computers with Internet access at home. Although most computers connect with relatively slow dial-up access, the connections suffice for simple web browsing. Many internet cafes have also sprung up in the major cities of Bangladesh. 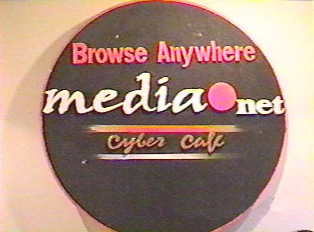 Generally, one becomes a member of a particular cybercafe and can use the computers for a slightly reduced rate. Although modest refreshments are available, these cafes have not tended to function as social gathering places but merely as places where computers can be used. Some cafes have adopted a more social atmosphere, serving coffee and sandwiches and providing a comfortable place for friends to gather.